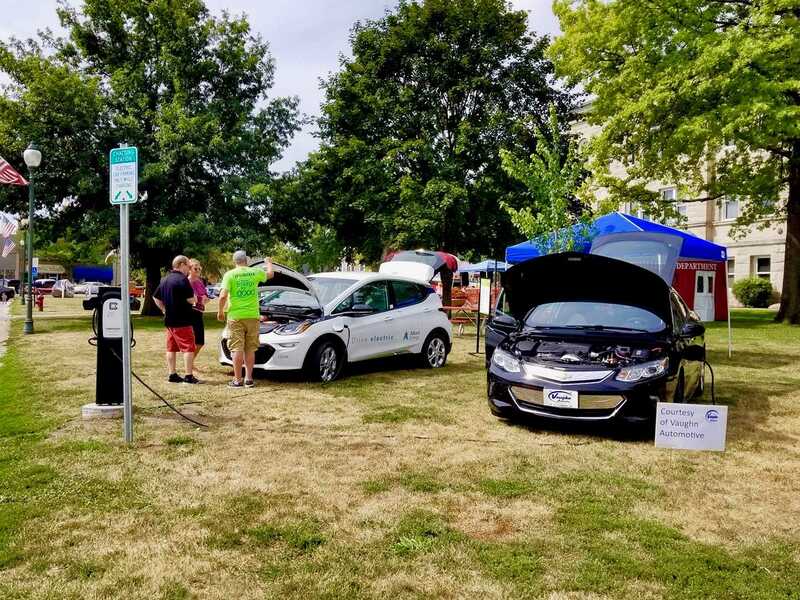 The city of Centerville, Iowa recently unveiled four new electric car charging stations on the historic downtown Centerville square. 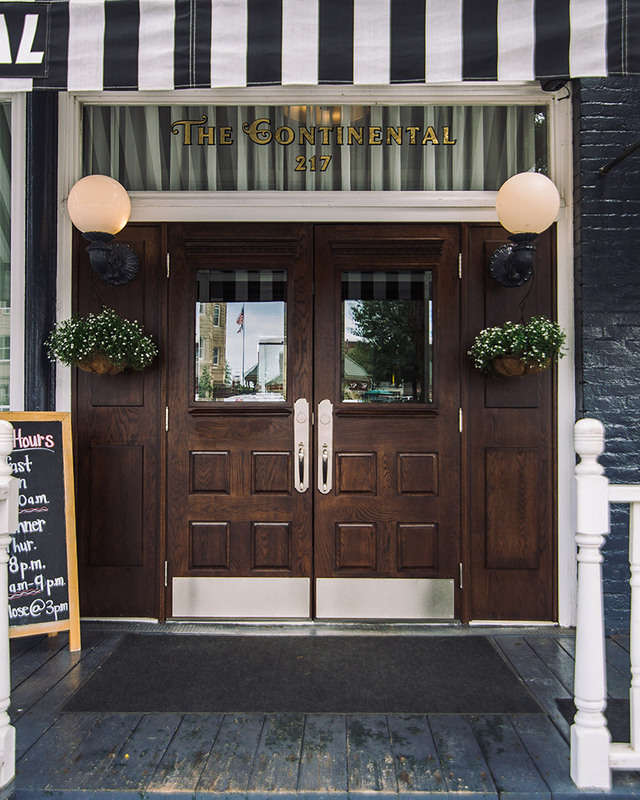 Visitors with electric vehicles, including overnight guests at The Continental Hotel and diners at Lucile’s Steaks and Spirits, can charge their Tesla, Chevy Volt, or other electric cars free of charge at these stations. The unveiling took place at Centerville’s annual Planes, Trains, and Automobiles event. Held each year on the first Saturday in August, this event which features a car show, train railcar rides, airplane flights, and skydiving, is always a treat. This year, in addition to checking out classic cars, muscle cars, and restored tractors, visitors could see the electric car charging stations in action. Even our hotel guests got in on the fun! A couple staying overnight at The Continental drove up in their Tesla S, just by chance arriving in town the day before the big electric car charger reveal. They were wonderful sports and not only entered their Tesla S in the car show, but let passersby sit in it and explained how it worked!